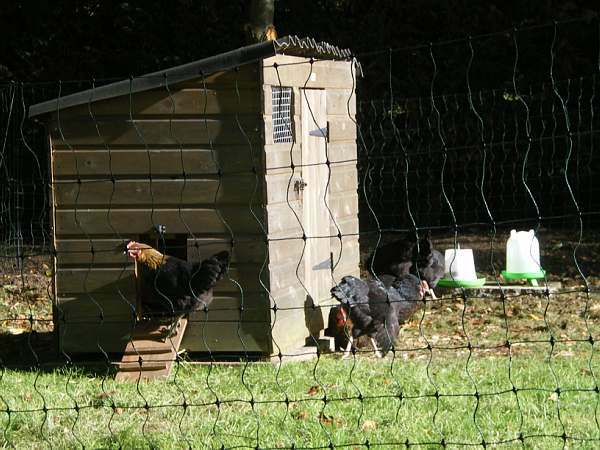 Chickens arrive at Little Haven on 14th October. Six lovely Rhode/Rock pullets almost ready to lay. 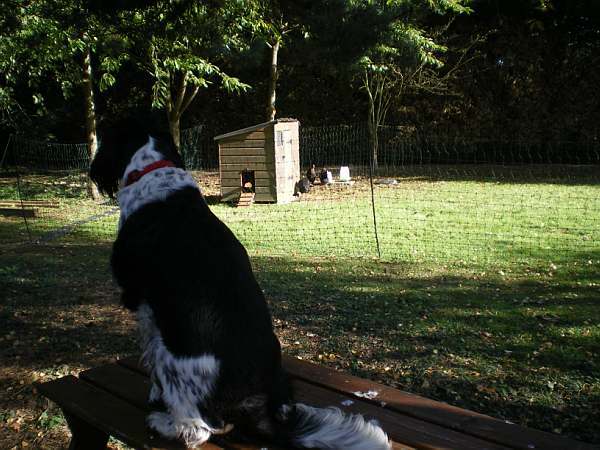 Ofcourse, Toby our crazy 8 yr.old Spaniel x loves chickens – to catch & kill them! We had to install an electric fence to protect them from him and the foxes that are always about. But it really taught our Toby a lesson in manners. Three times he `had a go` and each time received a powerful 1,000 v. shock. Today he just sits and thinks about it! Pictured here sitting high on a picnic table! The hens completely ignore him and are laying us a regular supply of free range organic delicious eggs.